Dr.Bandy X Lee is the organizer of the Duty to Warn conference and has written a book, "The Dangerous Case of Donald Trump." इनमें से भी आधे अवसाद की चपेट में आये थे। अब्राहम लिंकन तो मनोविक्षिप्ति (साइकोसिस )की चपेट में आ गए थे। इनका भी पांचवां हिस्सा बाइपोलर इलनेस से ग्रस्त रहा है।शेष पांचवां हिस्सा शराब का लती रहा है। इसीलिए यह व्यवस्था रखी जाती थी के वह कोई महत्वपूर्ण निर्णय शाम को न लें तब जब वह सुरूर में आ जाते थे। (स्रोत: जर्नल आफ नर्वस एन्ड मेन्टल डिजीज,२००६ ). मनोरोगों को इतना बड़ा अजूबा ये महबूबाएं क्यों बना रही हैं ? डिमेंशिया से ग्रस्त व्यक्ति सामान्य व्यवहार नहीं कर पाता है याद रखना ,सोचना उसके लिए मुश्किल हो जाता है।यह मस्तिष्क रोग या दिमागी आघात ,दिमागी चोट से उत्पन्न एक स्थिति हो सकती है। अल्ज़ाइमर्स में दिमागी न्यूरॉन्स के विनष्ट होते चले जाने के बाद मस्तिष्क ही सिकुड़ता चला जाता है। एम्लोयड प्रोटीन प्लाक्स बनते चले जाते हैं। इसके परीक्षण का कोई तरीका आपके पास नहीं है।कोई ब्लड टेस्ट आपके पास नहीं है। यही बाद में डिमेंशिया की भी वजह बन जाता है। काहे ट्रम्प के पीछे पड़े हुए हैं लोग ? कुछ लोग ट्रम्प साहब को आत्मश्लाघा आत्मरति से ग्रस्त बतला रहे हैं। नार्सिसिस्ट कह रहे हैं। Narcissism से ग्रस्त कह रहे हैं। भाईसाहब आप में से कौन आइने के सामने नहीं खड़ा होता कौन अपने पे नहीं रीझता है ? है कोई माई का लाल ? 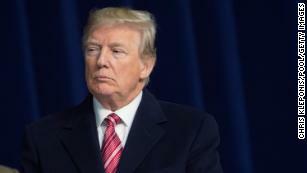 The discussion around the health of President Trump has reached a new level of urgency this week because he will be an outpatient at Walter Reed Medical Center today, undergoing a battery of tests to determine whether he is "fit to lead," a colloquial term many use but with little clinical basis. Almost everywhere I go, including the hospital where I practice, nearly everyone wants to weigh in about the mental health of Trump, and perhaps because I am a neuroscientist and medical reporter, I have become a repository of these opinions (though I will tell you the mind is a much more difficult thing to probe than the brain). Some of the opinions have been cringeworthy, like the time a fellow physician asked whether I thought the president was "crazy" in a crowded elevator full of patients, any one of whom could be suffering from debilitating mental illness. Many of the armchair diagnoses have been misguided, even if well-intentioned, and all have been thus far unsubstantiated. What should we have the right to know about a president's health? Particularly bothersome is the commingling of the president's questionable behavioral traits with serious mental illness. It is, as Dr. Allen Frances, the chairman of the DSM-IV task force that defines the criteria of various mental conditions, said, an insult to the mentally ill. The point is, there can be major pitfalls with these sorts of distant diagnoses. For starters, they are typically wrong. An accurate diagnosis of mental illness is a serious and laborious undertaking. Many patients see at least three mental health care professionals over several months to arrive at any diagnosis. Even after sustained contact with a patient, most responsible psychiatrists will follow up with family members and close acquaintances to gather as much information as possible. They want to be as certain as possible, as any doctor would be with the diagnosis of, say, cancer or a stroke. Unlike those diseases, though, mental illness has no particular brain image or blood test that can easily make the case. It takes time and expertise by someone who has been trained to find the clues and avoid the traps -- and that excludes the vast majority of us, including me. Frances doesn't believe that Trump has narcissistic personality disorder, a popular amateur diagnosis on the internet. This is particularly important because Frances also happens to be the Duke University professor who wrote the criteria defining the disorder. I have often responded to those sharing their opinions with a smile and a shrug when approached by people wanting to have the "Trump is crazy" discussion. 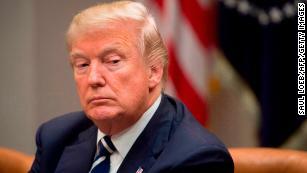 It is not out of lack of interest but because, after the umpteenth time, I know that the discussion often sadly leads to worsening misconceptions about the mentally ill.
Point is, even if Trump was diagnosed with a mental illness, that is not necessarily a barrier to holding a job or even higher office. It was in 1972 when Thomas Eagleton was dropped as a Democratic vice presidential candidate after it was revealed that he had been hospitalized for depression. We seem hardly enlightened since then. Fully half of US presidents between 1776 and 1974 had clinical evidence of mental illness during their lifetimes (half of them while in office), according to a 2006 study in the Journal of Nervous and Mental Disease. Half of those were depressed, including James Madison, Dwight Eisenhower and, perhaps most famously, Abraham Lincoln, who also suffered from psychosis. Lyndon Johnson, Theodore Roosevelt and John Adams were among the fifth of US presidents with bipolar disorder. And another fifth were alcoholics, including Richard Nixon, whose staff, according to an NPR interview with one of the study's authors, had to make sure he didn't make important decisions in the evening. A separate study in the Journal of Personality and Social Psychology from 2012 took it a step further when it concluded that John Kennedy was a psychopath but added that "certain features of psychopathy are tied to successful interpersonal behavior." 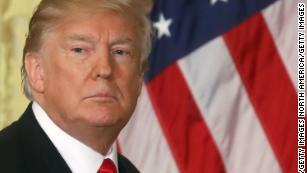 In particular, it was the trait of "fearless dominance" -- a brashness accompanied by a compulsion to dominate social situations, a higher willingness to take risks and an immunity to anxiety -- that was "associated with better presidential performance, leadership, persuasiveness and crisis management," according to the study authors. Fearless dominance. When you consider the qualities of a good leader, trust, intellect, curiosity, empathy and discipline probably come to mind, but "fearless dominance" is a frightening term these experts think should be added to the list. Terms matter when we talk about mental health. When Dr. Bandy X. Lee, a Yale psychiatrist, briefed mostly Democratic members of Congress in early December, she raised a different term: "dangerousness." It is not a true psychiatric diagnosis but one that has been medicalized nonetheless. According to J.C. Segens' "Dictionary of Modern Medicine," it is "the state of being dangerous and possibly causing mental or physical harm to others." Based on "public records, tape recordings, video tapes and his own public speeches, interviews and 'tweets,' " Lee told congressional members, it is "obvious" Trump meets the criteria for dangerousness. And she feels compelled to inform the public. She is the organizer of the Duty to Warn conference and has written a book, "The Dangerous Case of Donald Trump." That makes many of her colleagues uncomfortable, because they abide by the 1973 Goldwater Rule, which prohibits psychiatrists from opining about the mental health of an individual they have not personally examined. Lee, and a handful of other psychiatrists, instead seem to take cover under a separate professional guideline, the controversial Tarasoff Rule of 1976, which obligates psychiatrists to notify potential victims if they believe their patient is a real threat. It is that "duty to warn," Lee told me over the phone, that has motivated her to break from the rank-and-file psychiatrists. In this case, she is claiming that the patient is Trump and the potential victims are everyone else on the planet. Of course, Trump is not Lee's patient, and she has never examined him. For its part, the American Psychiatric Association offered a rebuke to Lee and others who continue to diagnose from afar. "A proper psychiatric evaluation requires more than a review of television appearances, tweets and public comments. Psychiatrists are medical doctors; evaluating mental illness is no less thorough than diagnosing diabetes or heart disease," it said in a statement this week. When Trump is examined today for his annual physical, he will undergo a battery of tests. There's no guarantee which ones they will be and no requirement that results be released. Most presidents have released one- to two-page summaries including height and weight, blood lipid levels and even running speed. 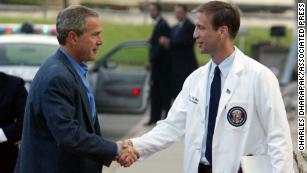 George W. Bush, we were told, smoked occasional cigars and ran 3 miles 4 times a week. Only candidate John McCain released his full medical records in 2008, and he invited me to review them in a secure room for a few hours. While McCain's records included detailed reports around his mental health, virtually none of the others I have seen in the past 16 years of reporting on presidential health made mention of the cognitive or mental health of the presidential patient. The current White House has telegraphed that mental health testing is probably not something the president will even undergo. If his doctors want to probe the brain and mind of Trump and he agrees, a few useful tests could be performed. The Mini-Mental State Examination is a five- to 10-minute validated exam that has been around since 1975. It consists of 11 questions that focus on five specific areas of cognitive function: orientation, registration, attention and calculation, recall, and language. A low enough score could indicate that the patient is cognitively impaired. A neuropsychiatric evaluation is much more thorough: up to eight hours, with many cognitive-based questions. The goal is to investigate any changes in the brain that might impact behavior. It can also help identify the early stages of dementia and make clear if a patient is able to conduct the normal activities of daily living. And although a brain scan, such as a CT or an MRI, would not be able to diagnose a mental illness, it would probably uncover an organic problem such as a tumor, hydrocephalus or types of dementia including vascular or frontotemporal dementia, which in certain locations can greatly impact the behavior, memory and judgment of a patient. Lee believes Trump should also have a capacity exam, by force if necessary. Capacity, a medical term, is mostly synonymous with the legal term competence. A capacity exam is not precisely defined, but it is one of the most common reasons a doctor like me, a neurosurgeon, will consult with a psychiatrist: I want help in determining whether a patient has the ability to provide consent for an operation. The question I am typically trying to answer: Can the patient make an informed decision about having surgery? The question Lee is hoping to answer: Can the president make informed decisions about the welfare of the population? At no other time in US history has a group of mental health professionals been so collectively concerned about a sitting president's dangerousness, according to Lee. 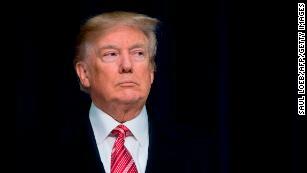 But other than a clear-cut diagnosis of dementia, it's difficult to see how a mental health diagnosis leads to removing a president from office, no matter his fearless dominance or perceived dangerousness.